Hearts to the Rescue: LA, CA: 4 precious dogs running out of time. Can you help? 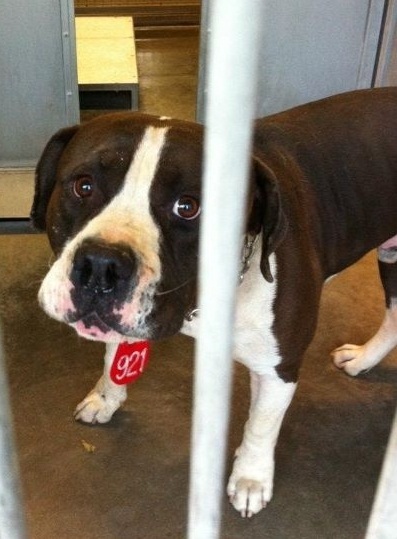 LA, CA: 4 precious dogs running out of time. Can you help? WILLIS only 2 yrs old, his eyes and expression just beg for love. WHO AM I? 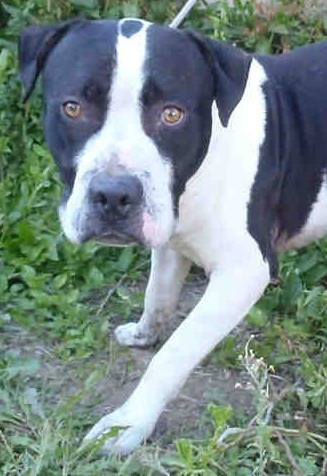 My name is Willis and I am an unaltered male, black and white Pit Bull Terrier. WILLIS - ID#A1260339. The shelter thinks I am about 2 years and 1 month old. I weigh approximately 69 pounds. I have been at the shelter since Oct 26, 2011. Help FRANKY find that lucky break - only 2 yrs old and no one to love. Look at those eyes! WHO AM I? 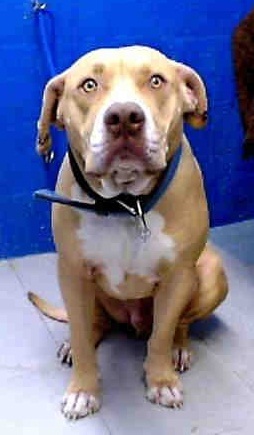 My name is Franky and I am described as a neutered male, brown and white Pit Bull Terrier mix FRANKY - ID#A4268153; The shelter thinks I am about 2 years and 7 months old. I have been at the shelter since Nov 14, 2011.
WHO AM I? I don't know my name and not sure why I'm here. I'm older, but i have a lot of love to give. Little TEXAN, a shelter favorite - has some pledges & a following but in a high kill shelter. WHO AM I? My name is Texan. ID#A509501; I am a neutered male, brown and white Pit Bull Terrier. The shelter staff think I am about 2 years old. I have been at the shelter since Nov 01, 2011.